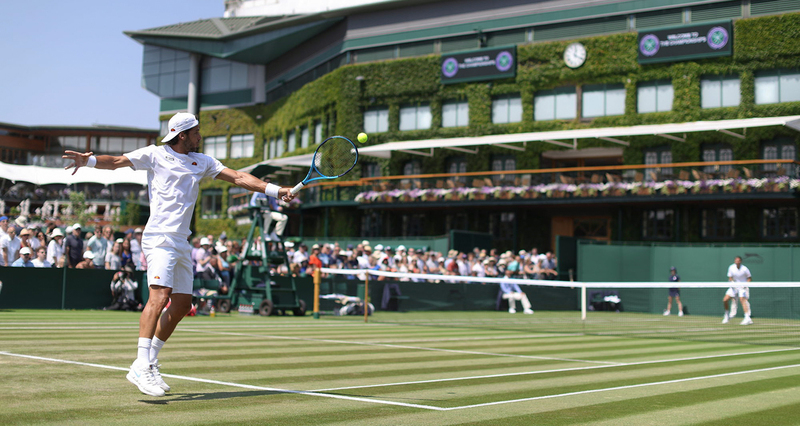 Watch as Feliciano Lopez discusses his record-breaking 66th consecutive Grand Slam main-draw appearance, before looking back on his favourite memories of playing at The All England Club. Q. At 36, how are you able to still maintain such a high level of performance in your tennis? FELICIANO LOPEZ: I don't know. Seeing the way I played today, I don't think I'm playing my best tennis (smiling). No, I have been talking about this in the last few days that I was just, you know, trying to stay healthy, you know, these last five or six years, because I knew it's going to be very important for me to be fit, you know, in order to play against the best players in the world and in order to be able to challenge them. 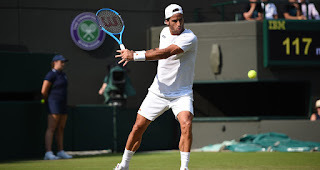 FELICIANO LOPEZ: Well, I served well, it's true, under the circumstances today. Was not easy to play. A lot of wind today, especially on those outside courts. Yeah, I managed to be consistent with my serve. It was so important to serve well today. I think I did and it was kind of key today. I think the match overall was okay. I got this break where I didn't put one first serve in and I got broken. Watch Hot Shot As Nick Kyrgios chips a crafty winner from an awkward position during his quarter-final match against Feliciano Lopez at Queen's Club on Friday. Watch as defending champion Feliciano Lopez shares his thoughts on his first-round win over fourth seed David Goffin at the Fever-Tree Championships. Feliciano Lopez recounts one of the most emotional moments of his career, when he won the grass-court title at The Queen's Club in 2017, in this edition of My Story. Watch highlights as Nick Kyrgios overcomes a tough test against 2017 Fever-Tree Championships winner Feliciano Lopez to set a blockbuster semi-final at the MercedesCup against Roger Federer. Watch Nick Kyrgios hit another tweener, this time approaching the net, helping him win a point against Feliciano Lopez in the MercedesCup quarter-finals. Feliciano Lopez withstands a Jack Sock tweener to finish the point at net in the third round in Indian Wells. Watch Hot Shot as Martin Klizan eventually gets the better of Feliciano Lopez with an imaginative lob in their first-round match in Rotterdam on Monday. 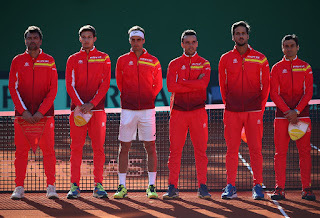 Spain led Britain 2-1 in the Davis Cup World Group after Pablo Carreno-Busta and Feliciano Lopez beat Dominic Inglot and Jamie Murray 6-4, 6-4, 7-6 (4) in doubles on Saturday. The Spanish pair forced 35 errors to win the match in just under 2 1/2 hours on the outdoor clay at Club de Tenis Puente Romano. 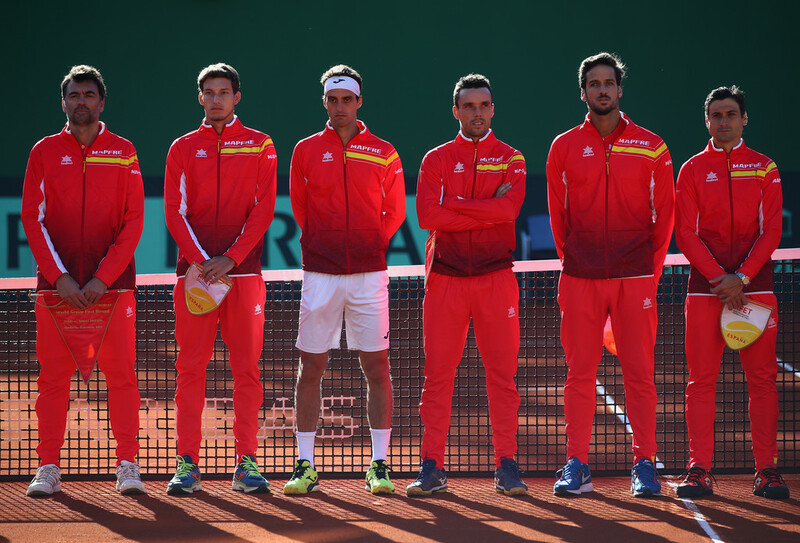 The teams, missing respective stars Rafael Nadal and Andy Murray, split Friday's singles. Match highlights from Querrey v Lopez first round at the 2018 Australian Open. 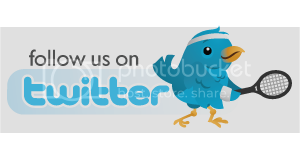 Watch highlights as Dominic Thiem, Nicolas Mahut, Filip Krajinovic and Feliciano Lopez all advance on Tuesday at the Rolex Paris Masters. Watch Hot Shot as Pierre-Hugues Herbert strikes a tweener against Feliciano Lopez on Tuesday at the Rolex Paris Masters. David Goffin scored a 7-5, 6-1 win over Feliciano Lopez and will next face qualifier Matthew Ebden in the second round at the Japan Open. Goffin has been a key player in Belgium's run to next month's Davis Cup final against France. But he had lost six straight matches on tour before claiming his first title in three years in Shenzhen, China, last Sunday. "I think for many players it's good to play Davis Cup - it can give you a lot of confidence for when you go back on tour," Goffin said. "It's really something special when you win a point for your country and it gives you a lot of energy and confidence. 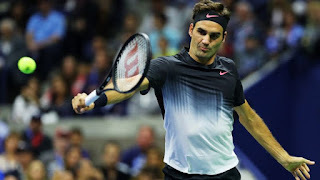 Roger Federer defeated Feliciano Lopez 6-3, 6-3, 7-5 in the third round at Flushing Meadows on a rainy Saturday night. "I think," Lopez said, "he's OK."
The most telling statistic was that the No. 3-seeded Federer was guilty of 16 unforced errors, which is not merely a remarkably low total on its own merits but also significant when viewed through the prism provided by his matches earlier in the week. 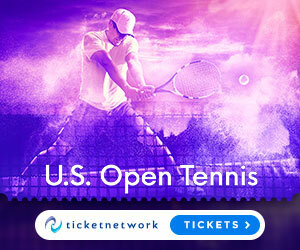 He averaged 62 errors in each of those outings, against 19-year-old American Frances Tiafoe and 35-year-old Russian Mikhail Youzhny. That was the first time in the 36-year-old Federer's career that he opened a Grand Slam tournament with two consecutive matches that lasted five sets. More relevant numbers: Federer was broken eight times total in those matches, but only once against Lopez. "I'm really pleased with the performance," Federer declared. "It's exactly, I guess, maybe what I needed going into the next round." Federer improved to 13-0 against Lopez and 33-1 in night matches at Flushing Meadows, so perhaps the lopsided nature of this shouldn't be all that surprising. Still, Federer had acknowledged after edging a cramping Youzhny that a lack of proper practice leading up to the U.S. Open on account of tweaking his back in August meant that his timing was off. "I needed to get over the fear of the back issue, especially in that first match, the first set. Then I think the wobble I had in the second round was due to my preparation. I think now I'm just trusting my movement better. My serve is there. My mind is there. I can finally focus on playing tennis and not so much about the past," Federer said. "So it's nice to be in the present in my mind, looking ahead, thinking tactics." 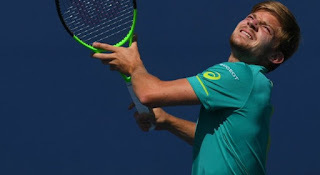 "The fact that he won two long matches, best-of-five, fighting, struggling a little bit more than normal in the early rounds - I think it was good preparation for him coming into this third round," Lopez said. "He seems to be fit and fast and serving well." Next for Federer is a match against 33rd-seeded Philipp Kohlschreiber, who beat John Millman 7-5, 6-2, 6-4. Federer's head-to-head record against Kohlschreiber is 11-0. 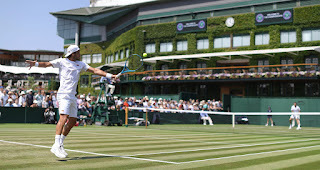 Feliciano Lopez defeats Andrey Kuznetsov to enter R3. Feliciano Lopez sends an amazing forehand against Lleyton Hewitt in R3 of the 2004 US Open.